If you would have asked any analyst after week four what the rest of the year would look like for the 1-3 Cam Newton and the Panthers, their answer would’ve been a chorus of negativity, stories of towels and side-line pouting, and the guarantee departure of third year head coach Ron Rivera. Not even the most biased of Panthers fan would’ve said we would go on an eight game winning streak, beating the Patriots and Niners along the way. Along with the defense, The outstanding play of Cam Newton and play-calling of Mike Shula have catapulted this group to a top three (According to many power rankings) team in the NFL. Let’s take a look at what changed in the play of Newton that served as a catalyst to the development of one of the top teams in the NFL. 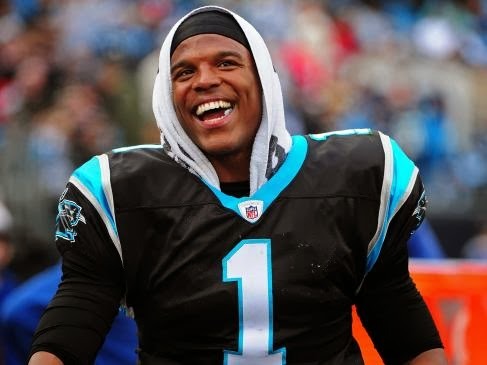 The 2013 season has shown the maturation in both Cam Newton as well as the offensive play-calling. The Panthers run/pass ratio transformed into a more balanced 50.74% run plays to 49.26% pass plays*. This successful balance lead to Cam and the Panthers being able to control the clock and allow Cam to properly manage the game. This, in turn, takes an immense amount of pressure off of Cams back which has led to a higher completion percentage and quarterback rating. This has translated to more wins, more media exposure, Having 10-1 Vegas odds as opposed to 66-1 at the start of the season, and more teams taking Cam Newton and the Carolina Panthers seriously.